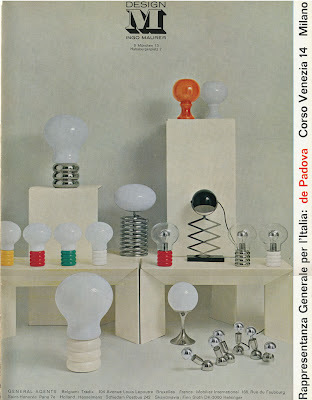 Who knew that Ingo Maurer designed so many different type of Bulb lamps during the late 1960's? This vintage advertisement dates back to 1969. 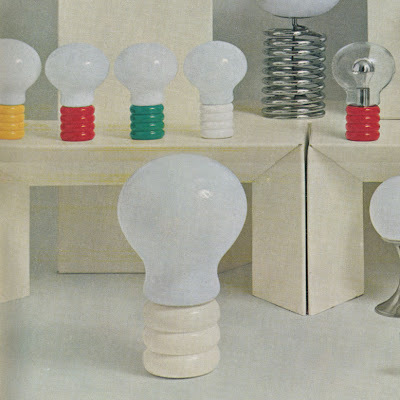 It shows the classic Ingo Maurer Bulb Lamp (still available here) as well as a white, yellow, red and green edition. And did you notice the huge oversized bulb lamp? Pretty amazing.